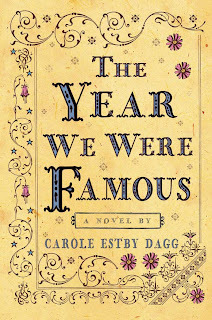 For the debut of my first book, The Year We Were Famous, I was advised to set up a website, tweet, Skype, blog, prepare a PowerPoint talk, make a trailer, print bookmarks and postcards, and get active on Facebook. Trouble was, I still didn’t have a cell phone and my attempts to figure out Skype, Facebook, PowerPoint, and all the other reportedly essential elements of today’s book marketing were pathetic. I hired out the website, trailer, and bookmark design, but decided that rather than spend any more time learning the high-tech promoting tools most new authors were using, I’d draw on what I already knew—puppet show costuming and props, from my days as a children’s librarian back in the 1960’s. I began by costuming myself like one of my old puppets. Clara Estby, the narrator in The Year We Were Famous, was a young woman of 1896, so I found patterns for a Gibson Girl blouse and spent a weekend sewing. I found an appropriate skirt at a thrift shop and bought reproduction high-topped shoes. Clara and her mother had walked 4,000 miles from Spokane to New York City carrying only what would fit in small satchels, so I started with a satchel I found in a catalog of Victoriana. A year before launch, I began the search to fill the satchel with replicas of everything newspaper articles mentioned in their interviews of Clara and her Mother as they crossed the country. I combed antique stores and specialty catalogs, bid on items on eBay, and begged loans from relatives. Authentically styled under-drawers with no seam up the middle, which made it easier to answer the calls of nature. It took a week of evenings to put in flat-felled seamed gussets and rows of pin-tucked ruffles, but this item has been the hit of every program. I did not model them. High lace-up shoes – I did walk a mile in them just to say I did it, but would not choose to wear them every day. Toiletries: hand-made soap, wooden-handled toothbrush, a small canning jar of baking soda and salt they would have used for tooth powder, and a hand towel I wove of linen and cotton. My backdrop was a 36” X 48” tri-fold foam board, big enough for a map of Clara and Helga Estby’s trek across the country, period postcards, copies of newspaper articles, and a photograph of my real-life characters. I covered the panel with black Velcro sold by the yard on the internet, sandwiched newspaper articles between layers of transparent shelf-liner (available at drugstores) and applied self-stick Velcro dots (available at fabric stores) to the backs of each item. Once I had a costume, props, and backdrop, I was ready to take the show on the road! In the next few months I visited four bookstores, a book festival, two libraries, three middle schools, three book clubs, a trade show, and a museum. Ten bookings have already been scheduled next year with women’s groups and book clubs, a library, and another historical society. Realia broadens the appeal of programs. 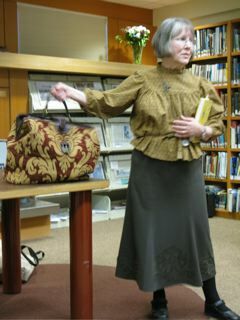 My show and tell has gone on the road to a wide range of audiences from 5th-graders to adults interested in women’s history. Objects provide a crutch for an off-the-scale introvert. Just as I hid behind the puppet stage for library performances, I hide myself in my costume and use my collected props as memory aids when shyness-panic threatens to short-circuit my brain during a presentation. 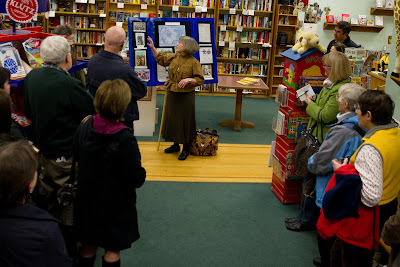 I have more than a reading to offer bookstores, schools, community groups, book clubs, and historical societies. I’m not just plugging my book, I’m offering a program on the role of women in the 1890’s. My props are relatively light-weight, inexpensive, and disaster resistant. Venues don’t have to have screen or computer projector and I don’t have to worry about bulbs burning out or cord compatibility. Realia increases audience involvement. 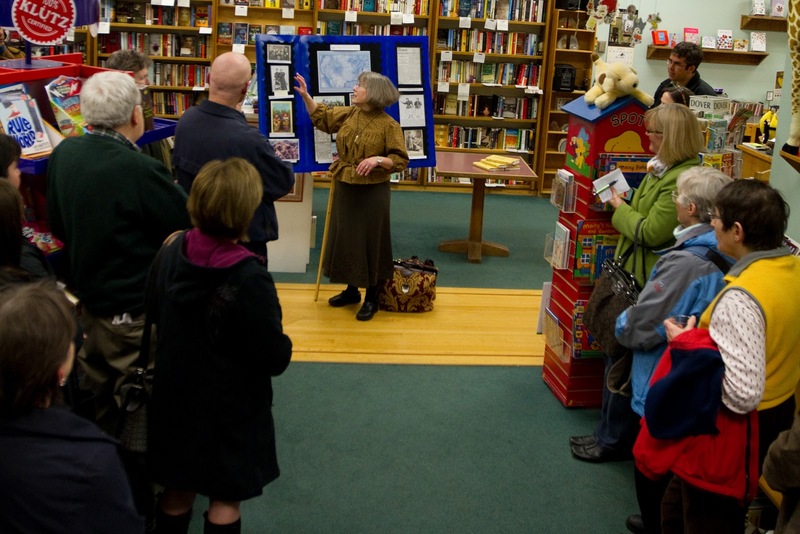 Attendees can come up after a program to examine the items they are particularly interested in and ask more questions. Touchable objects and newspaper articles reinforce the point that The Year We Were Famous is based on a true story. This approach won’t work for every book, but in the panicked rush to new technology, don’t overlook the power of old-fashioned show and tell. Would you walk over four thousand miles to save your family's home? Thank you for having me on your blog, Sarah! What a delightful way to promote your book. I salute you for all the work you did. Learning high tech is indeed a tough one, but what you did was tough too. Thanks for sharing. Carole, I love this. 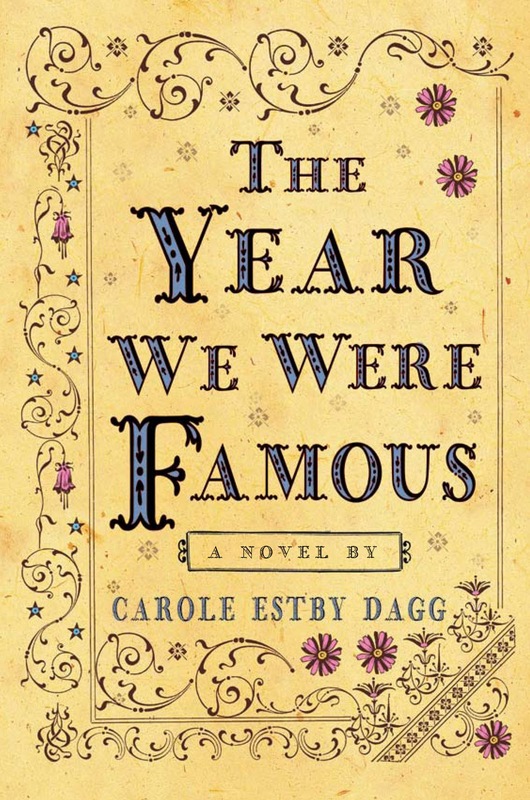 Your book is such a delight, and I'm sure those who hear you speak really walk away with a strong sense of what Clara and Helga's world was like. Thank you, Carole! Not only was this a great idea, but you worked so hard on it. Great post, Carole. Based on other reading, I think what you are doing has become important to get into "reading" venues. Hosts want show-and-tell more than straight reading, I understand. Your costume and kit are fascinating! When I was on my own book tour, I brought photographs of the mines, the town (Kellogg), and for a while had a mining hat and safety canister, although I had to return them to the museum I borrowed them from. I had great audiences, too! Thanks for your information. I'd love to see you. Great idea. I've read about Clara and Helga in Bold Spirit by Linda Lawrence Hunt. I'd love to see your presentation. Very creative, Carole. You put mind and imagination together beautifully and steers us all in a new direction. Thank you! I think I'd much prefer something like this over a straight reading. You've got my wheels turning! Inspiring! Thanks for sharing your creative techniques! Thanks for posting this, Carole! I am somewhat of a techno-phobe, too, so it's great to hear that there are other ways to go about giving presentations. Thanks for your great ideas, Carole! Having seen this presentation in action....I can say it's a very good one!